At the end of 2017, PT. Indmira and PT. Refined Bangka Tin (RBT) started a mine reclamation as an obligation of the mining company to prevent negative impacts of mining closure. Moreover, the land reclamation is to make former mines useful to the locals in the future. 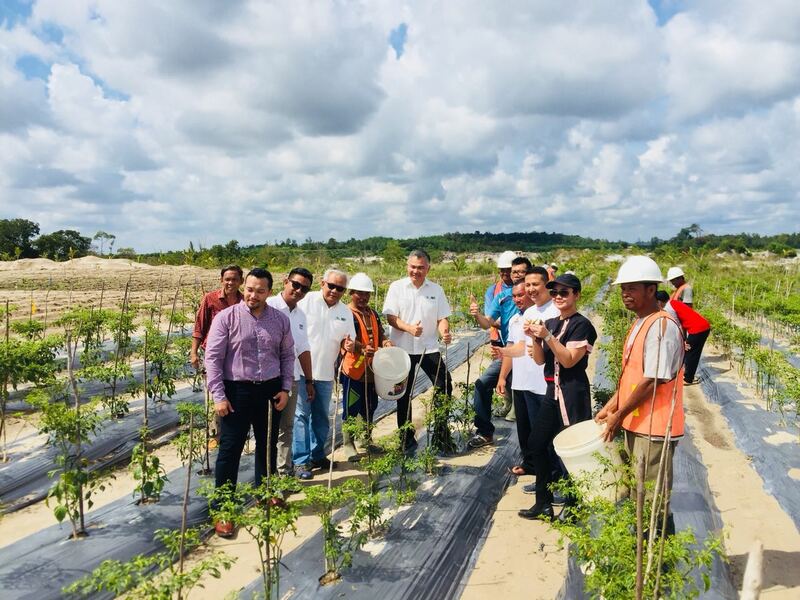 This activity to return the soil to become biologically productive again was carried out as a part of a sustainable reclamation program called “Green for Good”. The immediate goal of this program is to revitalize the function of a marginal land so that it can be reforested and/or planted with agricultural crops that have economic values and are safe for consumption. In order to be able to utilize these former mines, agricultural technology innovations are needed to rehabilitate soil productivity. One of these innovations is bioremediation developed by PT. Indmira for PT. RBT. This process utilizes biostimulations, which are amending the soil with nutritions containing certain microorganisms. The soil nutritions contains 60 to 90 macro and micro elements to increase the soil fertility. The microorganisms include sulfate-reducing bacteria (SRB) to decrease the sulfate content and increase the pH in the soil of former mines. The reduction of contents of heavy metals, such as Hg, Fe, Mg, Mn, Si, Sn, etc, can also be achieved by using these bacteria to make the soil safer. The next step in this reclamation process was a multi-planting farming using organic fertilizers and mycorrhiza applications to optimally increase the soil organic contents. The cultivation system was designed to change the soil composition lacking organic materials to become one that can support agriculture. To guarantee the safety of the crops grown on these former mines, chemical analyses were performed multiple times on the harvests. The results showed that maize and fruits did not contain heavy metals. The ability to cultivate food crops and forest trees that have economic values and are safe for consumption on marginal lands is very important in the former mine reclamation processes. These activities are a long-term journey that are the responsibility of all members of the community. In Banka, there is 302.000 hectares of mining lands, 26.000 hectares is in a critical condition, and only 2.000-3.000 hectares has been reclaimed. The collaboration of PT. Indmira and PT. RBT encompasses 50 hectares of land which has been assigned for agriculture, agrotourism, land conservation, and environmental education. This former mining land reclamation is a form of environmental restoration and conservation.